The Heart of the Shires is a Northamptonshire shopping village that offers shopping without the stress. Open seven days a week from 10am until 5pm. 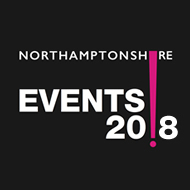 If you are looking for a relaxed shopping environment in the heart of the Northamptonshire countryside then the Heart of the Shires Shopping Village offers a wide range of shops for you to choose from. Set around a Victorian courtyard, The Heart of the Shires Shopping Village offers a selection of individual shops with character. From kitchenware to bridal couture, the Heart of the Shires contains a range of elegant gift solutions as well as a popular restaurant with tea room.